Beautiful apartment block "Sierra Vista", 4 storeys, built in 1998. In the resort, in a central position, on a main road. In the house: lift, storage room for skis, washing machine, tumble dryer (for shared use, extra). Communal covered parking. Shop, grocery 200 m, restaurant 100 m, café, bus stop 200 m. Skisport facilities 200 m.
2-room apartment on the ground floor. 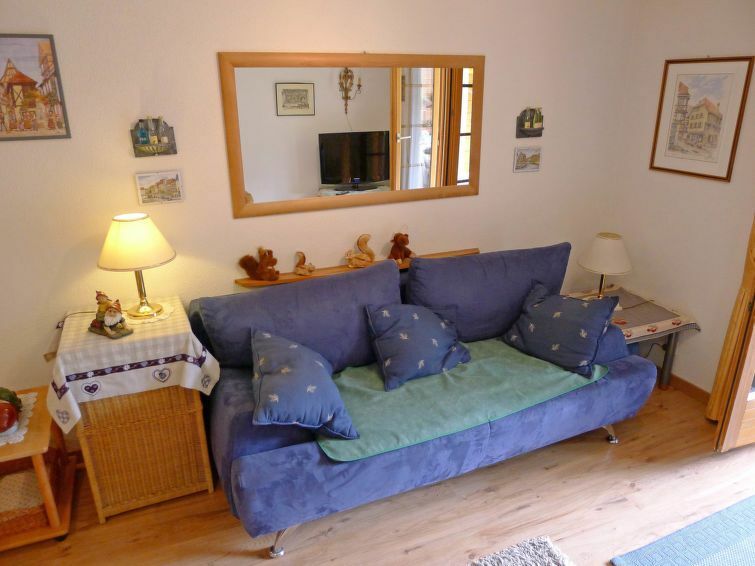 Beautiful and cosy furnishings: living/sleeping room with 1 double sofabed, dining table and satellite TV (flat screen). Exit to the terrace, south facing position. 1 room with 1 double bed. Open kitchen (4 hot plates, oven, electric coffee machine). Shower/WC. Large terrace. Terrace furniture, deck chairs (2). Beautiful view of the mountains. Facilities: hair dryer. Internet (WiFi, free). Reserved parking (roofed). Please note: non-smokers only.